Ondo State Governor Rotimi Akeredolu yesterday attacked All Progressives Congress (APC) chairman Adams Oshiomhole over the conduct of the party’s primaries. 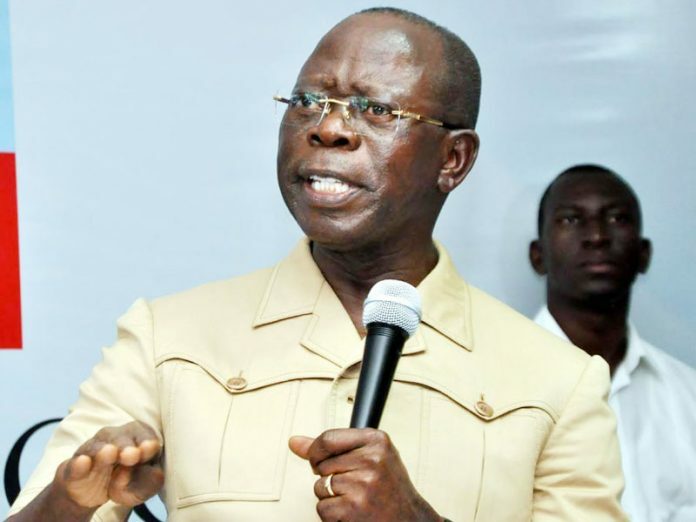 There has been no love lost between the governor and the party’s National Working Committee (NWC) led by Oshiomhole since after the primaries. Akeredolu wanted his prefered man to take over Ondo North Senatorial seat from Senator Robert Boroffice. But the NWC supported the continuation of the senator in office. On Tuesday, one of the Buhari Support groups, accused Akeredolu of leading the conservative group plotting a vote of no confidence in Oshiomhole in addition to sabotaging the party. But yesterday, Akeredolu, according to a statenment by his Senior Special Assistant on Special Duties and Strategy Dr Doyin Odebowale, described the primaries as “political charade”, saying they not only exposed the “sheer incompetence” of APC’s national leadership, but revealed “a shocking proclivity towards banditry and impunity”. Akeredolu said recent events justified his opposition to Oshiomhole’s choice as party chairman. According to him, those who feel aggrieved reserve the right to demand justice, including calling for Oshiomhole’s removal. The governor, however, restated his commitment to work “assiduously” for President Muhammadu Buhari’s re-election, who he said is loved by the people of Ondo who see his re-election as a “patriotic duty”. Akeredolu, who described organisers of the pro-Oshiomhole protest as “opportunists”, denied the allegation that he led governors of Ogun, Kaduna Adamawa and Ekiti states against Oshiomhole’s leadership. ”There is no truth in the whole contrivance. The governor has been pre-occupied with matters of governance in Ondo State for which he was elected,” the statement said. Akeredolu recalled his “noble interventions” as Nigerian Bar Association (NBA) President at critical moments in the cause of the progressives, including in restoring Oshiomole’s stolen mandate. He also denied moving from “north to south” collecting signatures against the national chairman. Akeredolu added that if need be, he would work to getting Oshiomhole removed as chairman. All these unguarded statements by Gov Rotimi Akeredolu portray him as a child-rascal. At his age and with his level of education and exposure,I expected Rotimi Akeredolu to know that in life, you can never have it all, all the time! Very disappointed with his outbursts.